Many testimonies of restoration have already begun and the sound of thanksgiving and joy is being heard from their “Eden”. Many more will begin to experience this restoration as God moves in lives and circumstances to restore. The Spirit told me two specific things about the months of June through September; that June would begin a time of unprecedented miracles and beginning in July we would enter three months of “completion”. I knew this was a completion of preparation. I saw it like a time where an eagle has gone through a molting and lost all of his beauty and majesty but suddenly everything begins to be restored. Like a threshold from the desert to Eden. When God gives you a promise and a word of hope it is a sure thing, a guarantee that you can bank on. You can begin to sing and dance for joy even before the full manifestation of your restoration because when He speaks we can rejoice. He rose so that you can rise! He is the resurrection and He is the giver of life! 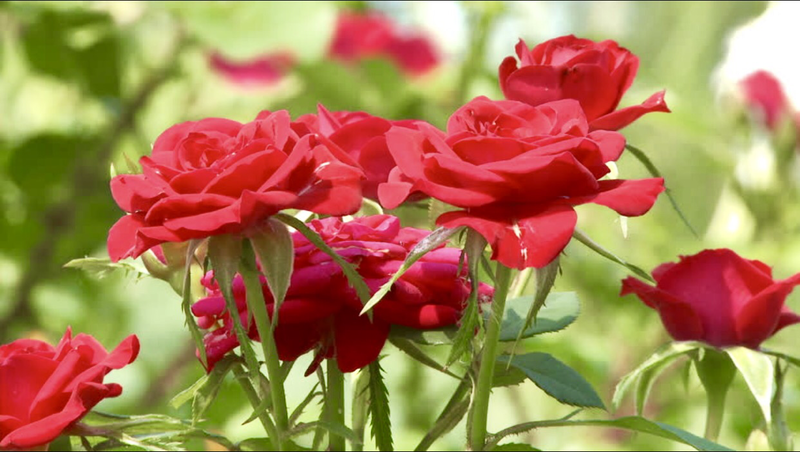 I believe that these rose bushes represented families that are arising. The grave cannot hold you down because He rose and defeated death. It is time for restoration and resurrection! I heard the Spirit say, “Sow a seed of restoration that will bring forth resurrection!” I wouldn’t normally say such a thing but I heard the Spirit make this Invitation to those who read this and therefore I must be obedient to share this invitation.